Tasting Panel Magazine scored this elgant wine 92 points! 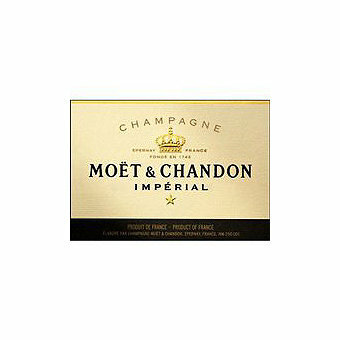 Probably the most famous and one of the most popular Champagnes of in the world, Moet Brut Reserve Imperial is a benchmark wine that never disappoints. Tasting Panel Magazine scored this 92 points saying "This spectacular wine replaces White Star as the flag bearer for the brand. It is a stunning improvement with a lovely citrus nose that shows hints of white flowers, minerals and brioche; it is smooth textured with graceful structure, bright acidity and showing long, precise and vivid flavors."